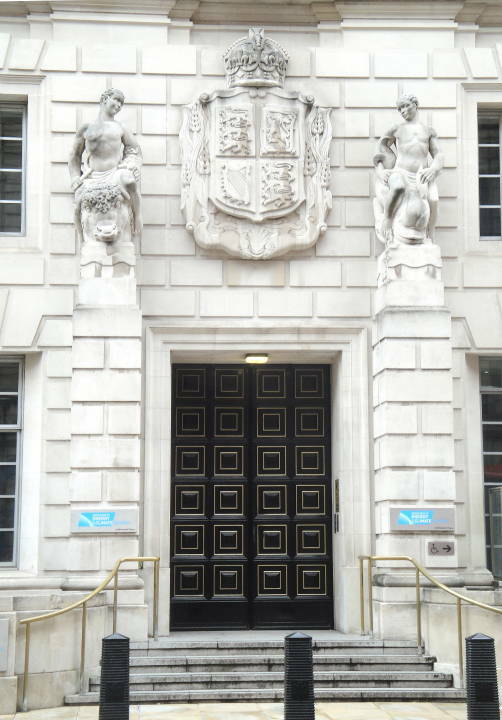 Overdoor figures, 3 Whitehall Place, Scotland Yard, by unknown sculptor. [Click on images for larger pictures.] 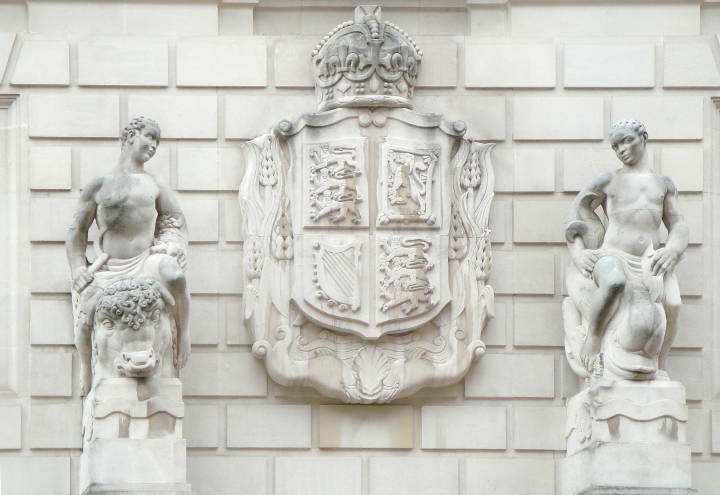 The figure on the left of the royal arms, who holds a sickle in his right hand, rides a bull with a ring through his nose while the companion figure who holds what may be a fish in his hand, rides a dolphin. Pevsner, Nikolaus, revised by Bridget Cherry. London Volume One. London: Penguin Books, 1989.